The implementation of the program is to be carried out by the consortium composed of INESC TEC (project coordinator), INESC Coimbra, C-MAST and ALGORITMI. These four research teams have considerable experience in all the areas related to the ESGRIDS project, following the plan for implementation in its three axes of action: energy end-use, electrical grid and markets. INESC TEC at ESGRIDS: INESC TEC will use its expertise in power systems steady-state simulation to derive a dynamic tariff scheme for the network and energy components, and evaluate regulatory changes in the DSO remuneration. The Centre of Power and Energy Systems and the Centre of Telecommunications and Multimedia of INESC TEC have long collaborated in the development of advanced solutions for the smart grid concept. It will contribute with its wide experience in the development and demonstration of forecasting, state estimation, grid management and communication solutions. INESC TEC has considerable expertise in the power systems field as well as in the ICT component, with numerous R&D projects and consultancy projects for the major companies operating in the energy sector, both private and public. Complementarily, it has a state-of-the-art laboratory infrastructure where there is the capability to perform testing of both software and hardware solutions in a close to the real smart grid environment. The research team at INESC TEC is composed of a set of researchers with considerable experience and extensive know-how in the different areas of the project, supported by a group of scholarship holders that are specializing in key emerging areas of the energy field. Two research groups within INESC TEC will be participating in the project: the Centre for Power and Energy Systems and the Centre for Telecommunications and Multimedia, which are key areas in the smart grid concept. The core activities to be developed in the project will focus on advanced concepts and smart algorithms for supporting distribution grid operation to be carried out in Act. 3, but also inefficient energy end-use in Act. 2 and new market models in Act. 4. To contribute to the progress of scientific and technical knowledge and to design better systems and informed decision processes. To support the first stages of the value generation chain: basic and applied research, and advanced education. To transfer knowledge and provide scientific and technical support to public and private organizations. To raise public awareness of research and technologies for improving planning, efficient use of resources and sustainable development. The accomplishment of these objectives has been materialized by carrying out top-level R&D integrative and interdisciplinary research with impact on publications in scientific journals, projects, contracts with industry and international cooperation. 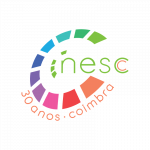 More information about INESC Coimbra can be found at: www.inescc.pt. INESC Coimbra at ESGRIDS: INESC Coimbra research teams will continue their work in market simulation models in order to study the influence of new business models and market players in the market clearing process and rules. INESC Coimbra is also involved in producing scientific research and technological development, developing R&D work especially in the area of demand-side energy efficiency. Its research team includes experts on energy efficiency, electricity markets and optimization models and methods with a long tradition of multidisciplinary work performed in collaborative manner focusing on the design and development of innovative models, algorithms and computational implementations for making the most of all energy resources aiming at a more efficient, reliable and sustainable power system. It also has specific software for studies in the field, namely optimization software packages and energy audit equipment. The work to be developed will focus on the end-user of energy in Act. 2 with advanced solutions for promoting his empowerment. Promotion of the scientific culture in academic environment and to public. Energy and Mechanics of Fluids (EnerMeF). Technology Forecasting & Systems Engineering (TeFASE). C-MAST at ESGRIDS: The C-MAST Coimbra research teams will continue their work in market simulation models in order to study the influence of new business models and market players in the market clearing process and rules. C-MAST is a research centre developing studies in Energy, Mechanical and Aerospace Engineering. The Sustainable Energy Systems Lab of UBI, associated with C-MAST, has already all the computational resources needed for advanced simulation studies and mathematical optimization in the fields of Power System Operations and Planning, Demand Response and Smart Grids. It has been actively involved in national FCT projects as PI and is presently coordinator of a European FP7 project. The research conducted by the team will focus on its core strengths namely in optimization models and market simulation models to be developed in Act. 4. About ALGORITMI Centre: ALGORITMI is a research unit of the School of Engineering University of Minho, that develops R&D activity in Information and Communications Technology & Electronics, spreading into four major fields: (1) Information Systems, Computing Technologies; (2) Electronics, Energy, Robotics; (3) Computer Networks, Pervasive Computing; (4) Operational Research, Industrial Engineering & Management. The majority of PhD-level researchers of ALGORITMI are also faculty members of the educational departments of the School of Engineering, namely: Industrial Electronics (DEI), Information Systems (DSI), Production and Systems (DPS), Informatics (DI). It is important to stress that UMinho was the first Portuguese academic institution to teach computer science and engineering in Portugal, with the creation of the first DEng (in 1976), MSc (in 1984), and PhD (in 1986) degrees in Informatics. ALGORITMI is currently structured into 6 R&D lines (i) Information Systems and Technology (ii) Computer Science and Technology (iii) Computer Communications and Pervasive Media (iv) Industrial Electronics (v) Industrial Engineering and Management (vi) Systems Engineering and Operational Research (and several special interest R&D groups) and will focus on 4 Thematic Strands (i) Wealthy and Innovative Industry (ii) Sustainable and Smart Cities (iii) Healthy and Secure People (iv) Resilient and Agile Organizations. This structure enables ALGORITMI with a holistic approach towards the complex task of advancing scientific knowledge within the ICT&E domain. ALGORITMI focuses its activity on projects that explore a strong link with the community; see as an example the recently signed project with Bosch of 19,2M EUR. Currently, ALGORITMI holds around 500 researchers affiliated to these 6 R&D Lines, of which 165 hold PhD degrees and actively collaborate within the various R&D Groups to achieve the mission of ALGORITMI. ALGORITMI Centre at ESGRIDS: The Group of Energy and Power Electronics (GEPE) from ALGORITMI will contribute with their experience in the development of power electronics prototypes (namely in the development of active power filters), which is crucial to improving power quality under a massive deployment of DER, particularly electric vehicles (EV). The GEPE-ALGORITMI has laboratorial resources to support the development and the experimental validation of systems based on power electronics, and different tools to support the modelling and simulation of electronic and electromechanical systems. It also has tools for programming a wide range of microcontrollers, Digital Signal Processor (DSP) and Field Programmable Gate Array (FPGA). The ALGORITMI Centre is participating in two different teams. One is Group of Energy and Power Electronics (GEPE), which is a research group integrated in the Industrial Electronics Line of the Centre. GEPE is well equipped with the necessary equipment to support the development of the software and hardware structures and has the necessary know-how, experience and technologies for the development of power electronics hardware (power converters design and construction, design and assembling of PCBs, development of measurement and acquisition systems, heatsinks mounting, etc.). The expertise of this group in the power electronics field is crucial for the development of specific tasks in Act. 3 that deal with power electronic interfaces, ensuring that innovative products are developed and tested. Moreover, the Industrial Engineering and Management (IEM) group incorporates knowledge and competencies to deal with applied research on complex engineering systems, particularly in the Industrial Engineering and Management field. The work to be developed will leverage its competences on social-economic issues, environmental policies, sustainable energy planning and strategic decision making in Act. 2.